I meant to post this last week, while I was in Porto, Portugal, but my wifi was kind of spotty and when I went to hit the publish button, it couldn't load enough to publish or save it, so the whole post got deleted and I was too tired from traveling all day to rewrite it. Currently I'm in La Linea, Spain and this afternoon I'm catching a ferry to Tangier, Morocco for a few days, but then I'm coming back up to Spain, and ending my trip in Lisbon, Portugal. Of the two Portuguese cities, Porto is more of a wine city because the Douro Valley, Portugal's major wine region, is located right outside Porto, and many Port wineries make some of their Port Wine in the city of Porto. One of the days that I was in Porto, I took a day long tour of the Douro Valley. The views were incredible and we had a chance to visit a Port winery located in the vineyards. The next day, while I was exploring the city of Porto, I stopped in a Port winery in the city, and did a tour of the facilities and a tasting. It was a great experience. There are a whole row of Port wineries along the river that goes through Porto, and I could have easily spent a whole afternoon hopping from one to another, tasting a bunch of different Ports. As an introduction to Portuguese wine, there are three main varietals/styles of wine that are commonly associated with Portugal: Port, Touriga Nacional, and Vinho Verde. Port wine is a style of wine, not a varietal. It's a wine, most commonly a red wine, that's been fortified with alcohol, usually brandy. The extra alcohol is added during the fermentation process, and it affects the alcohol content and sugar content of the resulting wine. Port wine was first created on accident. In the 1600s, the British really enjoyed Portuguese wine, and they wanted to sent it over to England. However, they found that by the time the wine crossed the ocean, it had gone bad and wasn't suitable to drink. In an attempt to figure out a way around this problem, Portuguese wine makers tried adding brandy to the wine after the fermentation process. The wine survived the trip across the ocean, but the fortification changed the nature of the wine. Even though it was a different style of wine, the British loved the fortified Portuguese wine, and Port wine was born. 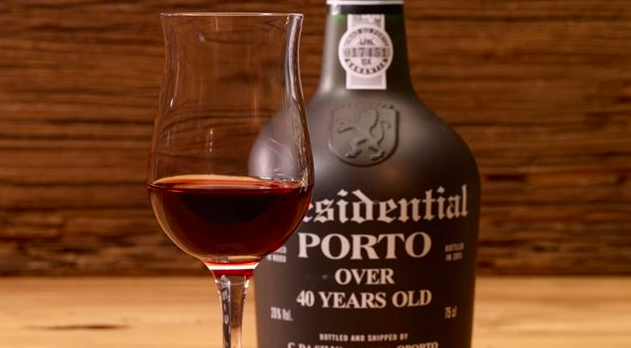 Portuguese winemakers have since changed the process of making Port slightly, to make the wine better, but the idea of fortified wine is still the same. The base wine that is used for Port doesn't have to be a particular varietal, it's generally a blend of various red wines. For a wine to be considered a Port wine, it must be fortified, and it must come from the Douro Valley. Any fortified wine that doesn't come from the Douro Valley technically can't be labeled as Port. It's like how any sparkling wine that's not from the Champagne region in France technically can't be called Champagne. There are two main types of red Port wines, Ruby and Tawny. Ruby Ports are the color of normal red wine, they generally have stronger berry and chocolate flavors than Tawny. They are aged in a large oak vat, so that the wine has less actual contact with the oak, which leads to the brighter color and flavor. Tawny Ports, however, are aged in much smaller oak vats, so that the wine has more direct contact with the oak. This results in the wine having more of an amber color, and the flavor tends to have more caramel and toffee notes. Port has a higher alcohol content than normal wine, and it's much sweeter and more viscous. It's generally served after dinner, either with dessert or as the dessert on it's own, and is served in a much smaller glass than a typical wine glass. In Portugal, it's generally saved for special occasions, when friends and family are all together. Touriga Nacional is a Portuguese grape varietal. It's often considered Portugal's finest varietal. It's a red grape that's often used in blends that become Port wine, but in the past decade or so, it has gained popularity as a grape to be used for making normal wine as well. It's grown mostly in the Dao region and the Douro Valley. It's a low yield grape, meaning that fewer grapes are produced on each vine, but that can actually lead to an increase in the quality of the grape. When there are fewer grapes on a vine, each grape can get more nutrition and resources from the vine, so the grapes can end up more well fed, which leads to better wine. Touriga Nacional is often compared to Cabernet Sauvignon. I find it to be just as bold and juicy as many California Cabs, but smoother and less rough around the edges on the back end. 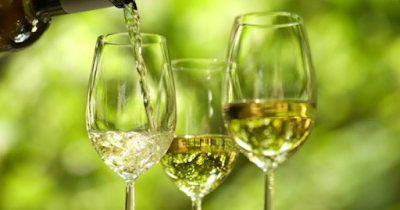 Vinho Verde is another style rather than varietal. It directly translates to "green wine," with green meaning young, so Vinho Verde is young, or early, wine. It's wine that is released 3-6 months after the grapes are harvested, meaning that it hasn't really aged. Vinho Verde can be white, red, or rose, and it's generally effervescent, or just slightly sparkling. White Vinho Verde tastes like a typical crisp and fresh white wine. If you like Sauvignon Blanc you'll probably like white Vinho Verde. Red Vinho Verde can be a little more interesting. It can also have a crispness and a minerality to it, which generally isn't associated with red wine. I bought a bottle of red Vinho Verde a few months ago in Durham, and I paired it with clam linguine. The saltiness and the clam taste that's a bit heavier than typical shellfish, was a good pairing for the bright and minerally red. Like Port, Vinho Verde can only be called Vinho Verde if it's grown in a specific region of Portugal. This region is in the northern part of the country, where the Minho province and its surrounding areas once were.